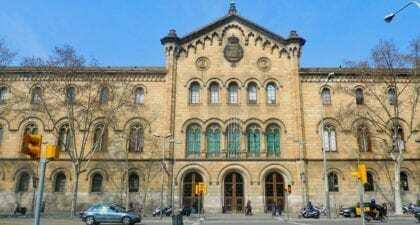 The Red Renta Básica association (official section of the Basic Income Earth Network) announces the offer of two scholarships, covering part of the costs to start the Interuniversity Postgraduate course in Analysis of Capitalism and Transformative Policies (from the Universitat Autònoma de Barcelona and Universitat de Barcelona). The purpose being to enable access to suitable students who are in a difficult economic situation. In the Interuniversity Postgraduate course in Analysis of Capitalism and Transformative Policies, the main ideas of republicanism, socialism, anarchism, environmentalism, feminism and the theories of justice and the commons will be discussed. Capitalism, jobs, trade unionism and both traditional and the most recent proposals of social policies will also be analysed. Moreover, there will also be several explanations about the most relevant political and social processes. Several members of the Red Renta Básica association will be teaching in the Postgraduate course and some of its lessons will deal with basic income. Applications are already opened, and more information can be sought at Red Renta Básica. The deadline for submitting applications ends on June 30th, 2018. The jury in charge of selecting applicants winning the scholarships is composed by three members of the Red Renta Básica board: Julen Bollain, David Casassas and Francisco Ramos. Julen Bollain has written 7 articles.